Disasters all come along at once. If we can extract the DNA and add it to mine. ? Yeah he managed to get a Peter Sagan’s throwaway from stage 2 of the Tour. Can’t beat that for a souvenir. Ride details (including all the detours) are here as usual. 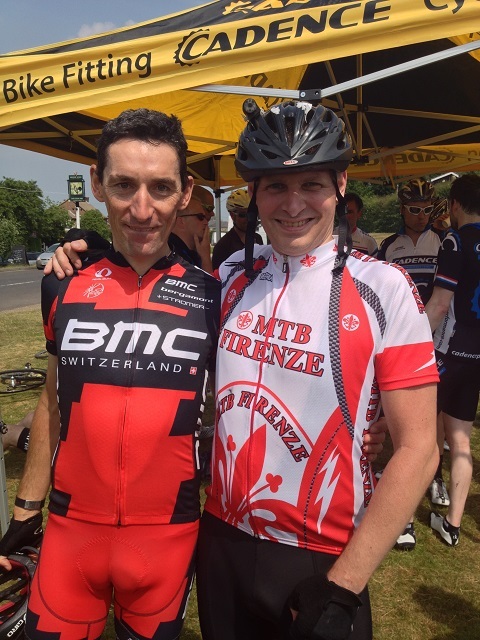 So via twitter I heard that Marco Pinotti (BMC Racing) – also known as the “Cycling Professor and “The Engineer” was in town to do a one day training camp at Cadence Performance at Crystal Palace London. The “Italian Cycling Expert” – Simone Magherini and I follow him on twitter, and we were shouting out for him during the Olympic Road Race (Leatherhead Hill – shouting out to the “Engineer” in the MTB Firenze jerseys). I also saw him compete in the Olympic Time trial (I was viewing on the St Georges straight) in which he came 5th – just out of the medals. So just for fun and under influence from the “Italian Cycling Expert” I signed up for the one day training camp with the man himself. 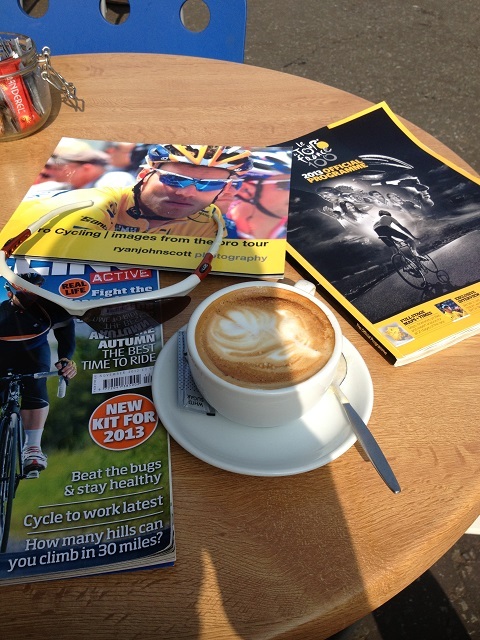 It was the hottest day of the year, and I started the day in a typically Italian way with a cappuccino and some light reading. 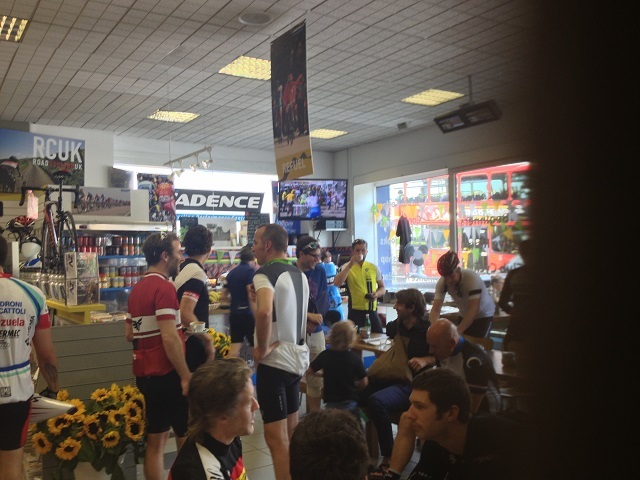 The guys at Cadence Performance are great, everyone is more than happy to chat about anything you need – bikes, techniques, as well as try out equipment and ideas. There is a whole range of people there from experts to beginners and everyone is friendly and happy to chat. The day consisted of a couple of hours in the class room, which consisted of some general chat and a Q&A session. There was some interesting insights into the life of a Pro-rider (especially how the rivalry between Mark Cavendish and André Greipel came about). It was a very informative session, especially as Marco had a lot of his data outputs from various competitions (including the London Olympic Time trial). 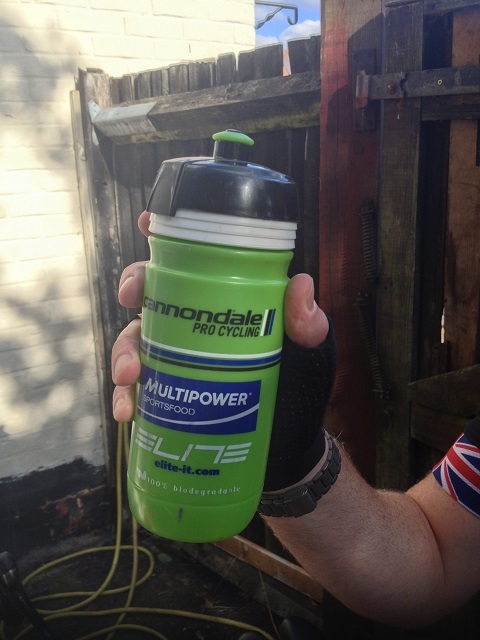 After the chat session I stuffed some food down me and grabbed some water / energy drink (it was already the hottest day of the year) and we set out for a ride into the Kent country side. 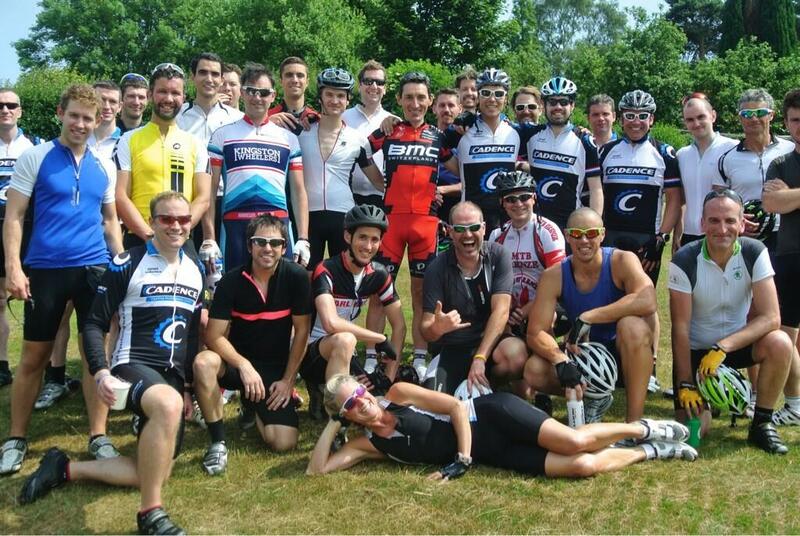 I managed to hang onto the group for most of the ride until Marco got us to do a hill climb exercise. Well – after one attempt to keep even close to him I just cracked. (along with quite a few others) and very rapidly fell off the back. The pro guys just go up the hills like they don’t even exist. It is really demoralising to watch him go up to the top and then descend and come past you again as you are struggling to make forward motion. But- as Marco said “It’s my job”. Thanks to the guys for a great day out. It was a fantastic day out, beautiful weather, a great crowd and many thanks to Marco Pinotti who lived up to his reputation of the “Nicest guy in the Peloton” – Wishing him luck in the up and coming Tour of Poland. If you want to know more check out his book on Amazon The Cycling Professor There is new bit in the English version about the London 2012 Olympics. I am only holding on, because my legs are about to give way. It was always going to be a hot one. The weather dials were firmly set for HOT and I could tell it was going to be a tough one even though it was early morning. Pete and I threw the bikes in the back of the car and got ourselves to the start. 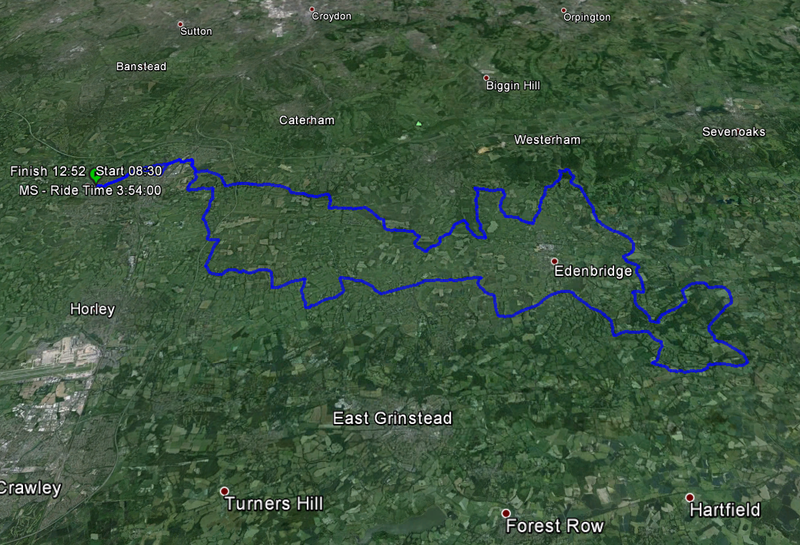 Today’s plan was an 80 mile run out from Reigate out through Kent and back. A rather rolling route with plenty of ups and downs. We got away at about 8:30 and it was not long before the temperature started to climb. Sucking down the water rapidly (we probably went off a bit quick) we got on the back of a reasonably fast group which dragged us along, but overcooked it a bit for my pace. Left ,right, Left right it twists and turns. The first water stop was a welcome respite from the heat, (now getting up to 25+ degrees and climbing by the hour) We got to the mid section and neither of us were feeling the fun. It was just one of those days where your legs don’t want to turn, every gear change was an effort and each downhill you felt like you were a passenger rather than the rider of the bike. We turned onto the “Mid” route which lowered the distance to 100km (60miles) and made our ways back to the finish at a more leisurely pace. Pete was suffering on the climbs and I was locking up the wheels on the descents – so if things are not going well no point to bash yourself over it. We got back and consoled ourselves with tea and food. A ride out in Windsor after work is the plan for tonight and then we have a special weekend coming up. I have signed up for a day out with the big boys. I will be spending a day with BMC pro rider, Marco Pinotti hoping to learn how to improve my performance on the bike. The day starts with a classroom during which we will be learning about training, preparation and diet. This is then followed by a session on the road, working on technique and style. Watch this space for videos and a report. 80 miles coming up this weekend. Checking the weather for Sunday I am now cursing the sun !!!! 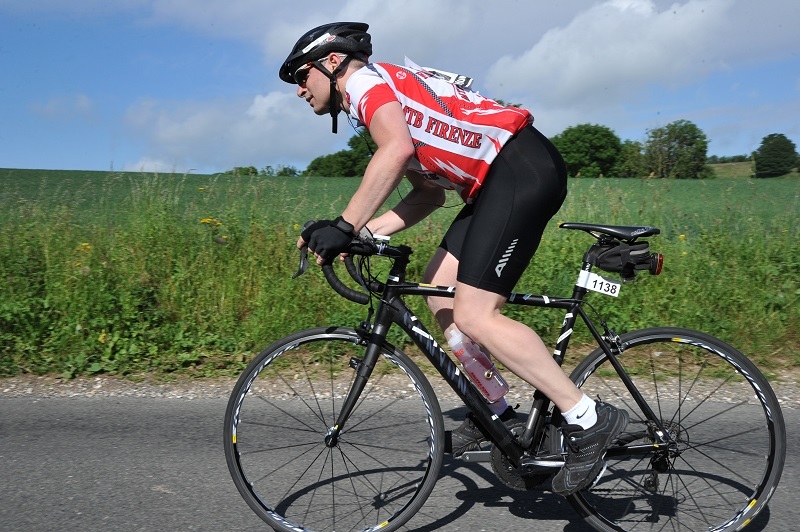 Have booked in for the Long Route on of the Reigate Sunday Sportive Which is a fairly hilly 80 miles (135km). The problem is the temperature is forecast to be almost 30 degrees Celsius. Now I am sure my Italian cycle chums will laugh, but 30 degrees and exercise don’t mix well for English people. I don’t think I can carry that much water !. Counting down the final weeks now, and the event is getting very close. At least the Tour de France is on at the moment, which is another incentive to get out on the bike and with the current weather there is no excuse. Current sponsorship is standing at 715 pounds and I still have to add the money that is in the bucket on the bar at my local pub. (it was looking pretty full last time I looked). More updates from Sundays ride will be posted soon. Do smooth legs really make you look faster ?